St. Cecilia’s Teams Win National Titles—St. Cecelia’s Golden Nights Rec. Teams—JV, Varsity and Seniors—from Iselin, participated in the ECA National Champions on March 15 and 16 at Williams and Mary College in Williamsburg, Va. All three St. Cecelia’s Rec. 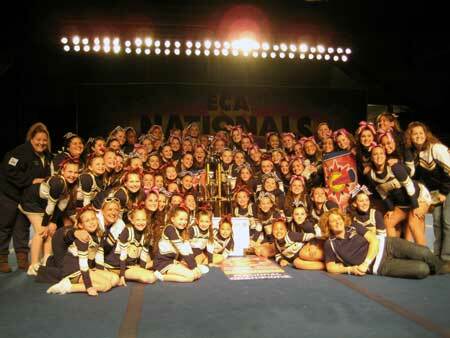 Teams came home as national champions and the seniors also received the grand champions title along with cash awards. The parents also received the “Best Fan Award”. Out of 80 teams that weekend, only nine free paid bids were given to Final Destination Worlds in Virginia Beach on May 4 and all three of the St. Cecelia’s Teams received one! This is the first year that rec. teams have been invited to Final Destination.